Captain Marvel is a highly anticipated Marvel release for several reasons. It’s Marvel’s first official superhero film lead by a female hero. It’s intriguingly set in the 90s, features the much awaited debut of Skrulls and will also feature Nick Fury with both his eyes intact. It’s only natural then that all eyes are on Marvel’s first female-led superhero flick. Production on the movie was slated to go on the floors towards the end of January and with new set photos having surfaced, it looks like production has officially kicked-off. Brie Larson has been prepping for her role as the Air Force Pilot who suffers from a fatal crash that lands her with superhuman abilities (of course that’s an oversimplification). She was spotted at Nellis Air Force Base, Las Vegas, Nevada interacting with the folks out there in preparation for her role. Some of these pictures were posted by different users on Instagram. Who’s excited for #CaptainMarvel ? 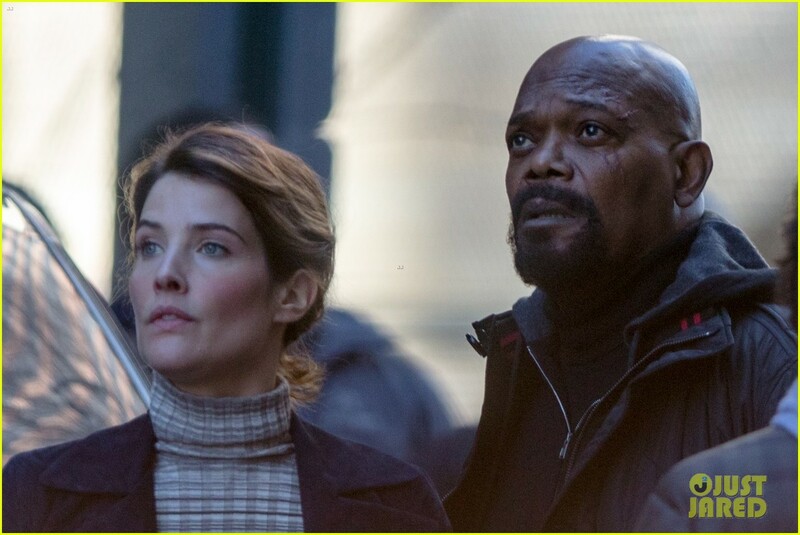 Next up, and more surprisingly, pictures of Samuel Jackson and Cobie Smulders reprising their characters as Nick Fury and Maria Hill respectively. 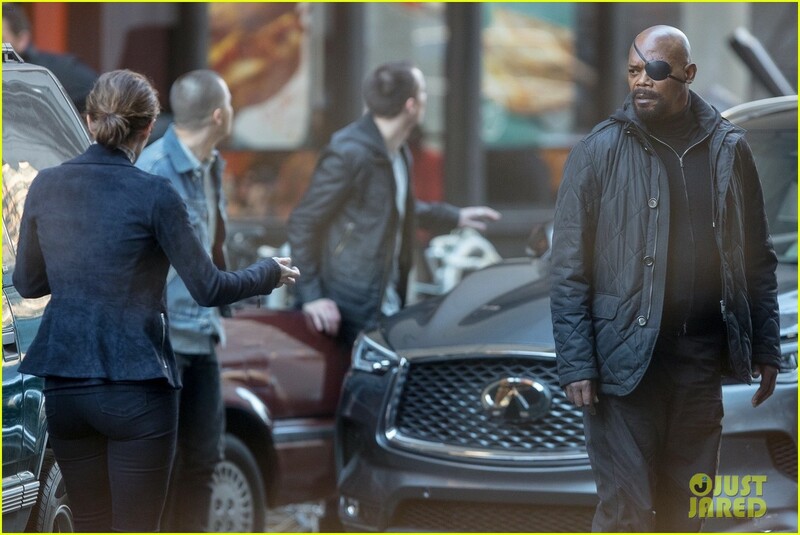 As of this point, it’s still unconfirmed which Marvel movie these set photos are from, they could very well be a part of some final shots for Avengers 4. Or perhaps, in a nod to Captain America: The First Avenger, the movie will either begin or conclude with scenes set in the present day that could lead in and out from the 90s setting. As production continues, we should have more set pics from the movie flowing in steadily. Meanwhile, feel free to discuss these in the comments below. Captain Marvel comes out in theaters on March 6, 2019.